Airfare to and from Africa not included. Flights within Africa are provided as indicated in the itinerary. (a) The customer is solely and fully responsible for ensuring they are in full compliance with the airline flown. For further guidance, WITO AFRICA SAFARIS LIMITED. (“WITO AFRICA SAFARIS” or the “Company”) has attached a list of the requirements as they are known currently. These are provided as a courtesy, and it is the customer’s responsibility to check with each airline to ensure compliance. (b) Passengers weighing more than 225 pounds must advise WITO AFRICA SAFARIS in advance, as an extra seat may have to be added into the pricing at the airline’s discretion for safety reasons. Accommodations to be provided as indicated in the itinerary. Meals to be provided as indicated in the itinerary. Notwithstanding the foregoing, WITO AFRICA SAFARIS reserves the right to make changes to accommodations, meals and/or transfers as it may deem necessary. In these rare circumstances, WITO AFRICA SAFARIS shall use commercially reasonable efforts to substitute accommodations, meals and/or transfers of substantially similar quality. The Company reserves the right to change routes and camps on safaris as dictated by changing conditions. Such conditions may be brought about by seasonal rainfall on bush tracks, airfields and in game areas, by game migrations from one region to another, or airline or other booking problems, etc. All service charges and taxes imposed by hotels, lodges and tented camps, and entrance fees to all game reserves are included as indicated in the itinerary. Airport taxes are not included and will be billed prior to your departure. Tips to drivers/guides are not included and should be provided in your discretion. A tipping guideline will be forwarded with your final documents. Cost of passport and visa fees, and service charges for obtaining visa fees. Baggage charges levied by airlines. All items not specifically covered in the itinerary, including, as noted above, tips to drivers/guides, as well as to other conveyance attendants. Items of a personal nature, gratuities other than those imposed by hotels and/or restaurants for included services. Optional personal, baggage and tour cancellation insurance policy. U.S. AND FOREIGN TAXES, INCLUDING THOSE IMPOSED BY THE AIRPORTS, VALUE ADDED TAXES (VAT), ETC. Cost for anything not specifically included in listing above. It is furthermore your responsibility to be familiar with all diseases, both real and potential, when travelling to and through Africa and to take the necessary precautions and vaccinations. We suggest you contact your personal physician or local health department for the most current recommendations as to vaccinations you and/or the other members in your traveling party (collectively, “your Traveling Party”) are required to get before traveling to Africa. At this time, no vaccinations are required for entry into South Africa unless travelers are arriving from an area where yellow fever is endemic (i.e., any countries in East Africa). Travelers entering Tanzania from a yellow fever zone will require proof of yellow fever vaccination. It is a sensible precaution for visitors to take one of the preventive pills that are in common use against malaria if you will be in East African countries. Water is safe to drink in most areas, but to avoid problems it is always advisable to drink bottled water, which will be provided for you, free of charge, in the vehicles. You and your traveling party must be in good physical and mental health. Any physical condition, diet, or treatment requiring special attention must be reported in writing to the Company when the reservation is made. The Company encourages you and your traveling party to consult a doctor for specific medical advice about any activities or destinations. In the event a participant becomes sufficiently incapacitated as to be unable to direct his or her own care, there is no one on the trip who can direct participant’s care, and the Company is unable or does not have time to contact participant’s emergency contact, the participant, authorizes any medical treatment deemed necessary in the event of any injury or illness. In addition, the participant certifies that they have medical insurance which will cover personal accidents, medical expenses, medical evacuation, air ambulance, loss of effects, repatriation costs and all other expenses which might arise as a result of loss, damage, injury, delay or inconvenience occurring to the participant, or that in the absence of this medical insurance coverage, the participant agrees to pay all costs of rescue and/or medical services as may be incurred on the participant’s behalf. DEPOSIT: To confirm a reservation, we require a nonrefundable deposit of thirty percent (30%) for land arrangements at the time of booking. Any amount paid as a deposit shall serve as payment to WITO AFRICA SAFARIS for WITO AFRICA SAFARIS’s creation and provision of a fully prepared itinerary. TRIP INFORMATION: Upon receipt and acceptance of your application, instructions will be sent to you concerning all aspects of your trip, such as itinerary, and items to bring, including, photographic equipment, documents, clothing, insurance, etc. 1. A Final Invoice for your trip will be sent to you approximately three (3) months prior to departure to Africa. 2. Payment of the Final Invoice is due no later than seventy-five (75) days prior to such departure. 3. To confirm bookings that are made within 75 days of departure date, we require full payment. FINAL DOCUMENTS: Subject to receipt of payment in full, WITO AFRICA SAFARIS will send your final documents and tickets approximately three (3) weeks prior to departure. 1. All rates quoted are based on tariffs and value of foreign currencies in relation to the U.S. dollar in effect as of the time of booking and are subject to change. 2. 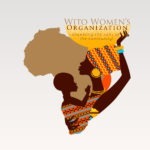 Should increases be forced on WITO AFRICA SAFARIS by airlines, exchange rates, etc., WITO AFRICA SAFARIS reserves the right to impose a surcharge up to a maximum of 10% of the total tour cost. DEVIATIONS AND CHANGE FEES: Once you reserve your tour, WITO AFRICA SAFARIS may in its discretion accommodate change requests, subject to availability at the time of request. Should there be any change fees imposed by airlines or ground operators, or additional costs incurred due to the unavailability of space, these fees and / or costs will be invoiced to you, as well as WITO AFRICA SAFARIS’s service fee. Cancellations are only effective on receipt of written notification. (1) UP TO 75 DAYS PRIOR TO DEPARTURE , you will be entitled to a full refund, less up to thirty percent (30%) of the total cost of your tour, including without limitation the cost of your flights within Africa. (2) LESS THAN 75 DAYS PRIOR TO DEPARTURE, you will be entitled to a refund dependent upon the amount (if any) WITO AFRICA SAFARIS may recover from its suppliers. Notwithstanding the foregoing, travelers that voluntary cancel any of the tour services shall be entitled to no refund. There will be no refund for unused services including hotel accommodations and/or transfers. You are also responsible for any cancellation fees that may be imposed by any of the airlines. Please note that cancellation includes reduction of services or decrease in number of travelers in a group, as well as a complete cancellation of the trip. In case of a date change request, WITO AFRICA SAFARIS will use commercially reasonable efforts to avoid cancellation or change fee penalties, but these penalties are dependent on policies of our suppliers. WITO AFRICA Safaris strongly recommends travel insurance to compensate you AND/OR your travelling party for cancellation fees you or they may incur. (2) Attacks by wild animals are rare, but WITO AFRICA SAFARIS cannot guarantee you and/or a member or members of your traveling party will not be attacked. (3) By taking this trip, you and the members of your traveling party are assuming the risk associated with viewing wild animals. (4) WITO AFRICA SAFARIS, its affiliates and/or any of their respective owners, employees, or agents (the “Released Parties”) shall not be responsible, or liable for, any injury or incident that may occur on the safari unless the direct result of the intentional act or gross negligence of a Released Party. (5) Please note that not all camps are fenced. (1) The onus is upon you and your Traveling Party to ensure that passports and visas are valid for the countries visited. (2) The Released Parties shall not be responsible or liable for any visas not held by you or any member(s) of your Traveling Party, nor attendant costs resulting from the lack of a required visa. (3) Please note that you and each member of your Traveling Party must have two (2) blank pages for visas for each country you will visit. (1) By booking with WITO AFRICA SAFARIS, you and each member of your Traveling Party assumes sole responsibility to ensure that you and they carry the correct comprehensive travel and medical insurance to cover yourself and themselves for the duration of their trip. (2) This insurance should include coverage for, but not limited to, the following: emergency evacuation expenses and medical expenses. (3) The Released Parties will take no responsibility for any costs or losses incurred or suffered by you or any member of your Traveling Party related to: (i) carrying the appropriate types and amounts of insurance, or (ii) cancellation or curtailment of the safari, repatriation expenses, damage/theft/loss of personal baggage, money and goods. (4) You and/or members of your Traveling Party will be responsible for any emergency services required. All the terms and conditions governing your trip and our relationship are set out in this document that you have agreed to upon completion of your booking form. These terms and conditions will prevail in the event of any contradiction in the documents so please ensure your familiarity with them as you have agreed to be bound hereby. (1) No party shall be bound by any express or implied terms, representation, promise or the like not recorded herein. No variation, amendment, addition or deletion of these terms will be binding unless expressly agreed to by both parties, you, the client and WITO AFRICA SAFARIS, in writing. From time to time, updated and amended terms and conditions will be necessary due to changes in policy, administration and legislative alterations. Please ensure you are familiar with the most recent iteration of these terms and conditions. No relaxation or indulgence of any individual term or condition will constitute a waiver of these terms and conditions and both parties remain entitled to their rights as ascribed to them in terms hereof, despite not insisting on them at any given time. Should any of the terms and conditions as found herein be deemed to be invalid or null and void as determined by a court of law, the rest of the provisions will remain in full force and effect as if the former had not been included. None of the Released Parties shall be responsible or liable for any loss or damage whatsoever arising from any cause whatsoever and without restricting the generality of the foregoing shall specifically not be responsible for loss or damage arising from any errors or omissions contained in any brochure or other literature, loss or damage caused by delays, sickness, theft, injury or death. In addition, WITO AFRICA SAFARIS reserves the right at any time in its discretion to cancel any safari or the remainder thereof, or make any alteration in route, accommodation, or other details, which may result in a price increase for which you will be billed, and, in the event of any safari being rendered impossible, illegal or inadvisable by weather, strike, war, government or interference or any other cause whatsoever, any and all additional expenses that may be incurred as a result thereof shall be your responsibility. The Company may, in its discretion, and without liability or cost to itself at any time, cancel or terminate your booking and in particular without limiting the generality of the foregoing, it shall be entitled to do so in the event of the illness or the illegal or incompatible behavior of you or any member of your Traveling Party, who shall in such circumstances, not be entitled to any refund. You agree, by booking this trip, that you have the authority to enter into a contract on behalf of you and each member of your Traveling Party included in such a booking and in the event of the failure of any or all of the other persons so included to make payment, you guarantee such payment, and shall make the payment(s) upon the Company’s request. WITO AFRICA SAFARIS cannot be held responsible for any defects, changes, or cancellations in the bookings or trips, which includes, but is not limited to delays, loss, or damages, arising from any causes, including dissatisfaction with the booking, or any loss, damage, or delay, caused by the suppliers or any third party. WITO AFRICA SAFARIS works very hard to provide an outstanding wildlife experience but we cannot guarantee the quantity, density or diversity of wildlife species on any particular day, in any particular location, at any particular time. Wildlife viewing in Africa may vary significantly due to numerous factors which are out of our control including wildlife movements and behaviour, climatic conditions, human interference, species biodiversity and density in the various locations during your visit. You acknowledge that you are aware that travel such as the Trip you are undertaking involves potentially dangerous activities, with a risk of illness, injury or death which may be caused by forces of nature, illness, or by willful or criminal conduct of third parties or by terrorism. You further acknowledge that weather conditions may be severe, adverse and/or unpleasant and that medical services or facilities may not be readily available or accessible or consistent with standards in the United States and Canada during some or all of the time during which you are on the trip, and that when available may not be of the quality which exists in the North America. The Company reserves the right, without further notice, payment or permission to make use of any photograph or film taken on the safari by any of our photographers. All claims and disputes arising under or relating to this Agreement are to be settled by binding arbitration, and such arbitration will be conducted by the Canadian Commercial Arbitration Centre (“Centre”) and will be governed by the Centre’s General Commercial Arbitration Rules and the Code of Civil Procedure for Commercial Division Disputes (collectively, the “Centre Rules”). The arbitration will be conducted by a single arbitrator in Quebec City, unless the parties mutually agree to a different location. If you and WITO AFRICA SAFARIS cannot agree on who that single arbitrator should be, then the “Centre” shall appoint an arbitrator with significant experience resolving the type of dispute at issue. The arbitrator is bound by the terms of this Agreement. If the arbitrator, at the request of the winning party, finds that the losing party brought a dispute or asserted a defense frivolously or for an improper purpose, then regardless of the amount in dispute, the arbitrator must order the losing party to pay both sides’ arbitration fees and may order the losing party to pay the winning party’s reasonable attorneys’ fees, unless such an award of fees is prohibited by applicable law. These terms and conditions shall be governed by the laws of the Superior Court of Quebec, without regard to its conflict of law principles, and all claims relating to or arising out of these terms and conditions, whether in tort, contract or otherwise, will likely be governed by the laws of the Superior Court of Quebec, without regard to its conflict of law principles.